Donald Trump is about to meet with one of his loudest critics: Silicon Valley. Trump's transition team has invited top technology execs to meet with the president-elect next week, potentially laying the groundwork for a working relationship with an industry that actively opposed his campaign. Safra Catz, the co-CEO of Oracle (ORCL), will attend the meeting, a spokeswoman for the company confirmed to CNNMoney. Catz also met with Trump last month shortly after his victory. Cisco (CSCO) CEO Chuck Robbins will also be in attendance, according to Robyn Blum, a spokeswoman for the company. Robbins, a Republican, declined to support Trump as a candidate earlier this year, saying he preferred John Kasich or Hillary Clinton. He called Clinton a "great candidate." 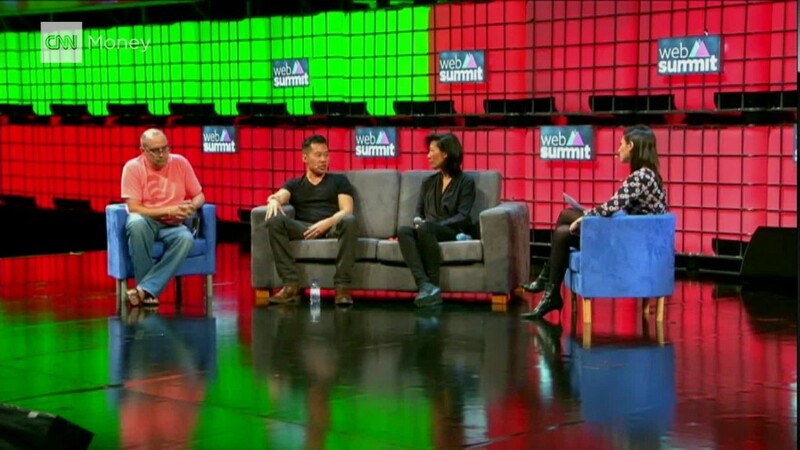 Facebook (FB) and Salesforce declined to comment on whether they would attend. Reps for Google (GOOGL), Amazon (AMZN), Apple (AAPL) and Tesla (TSLA) did not immediately respond to requests for comment. Throughout this year, Silicon Valley flexed its political muscles in an unprecedented show of force to stop a candidate it perceived as uniquely unfit for office and bad for business. 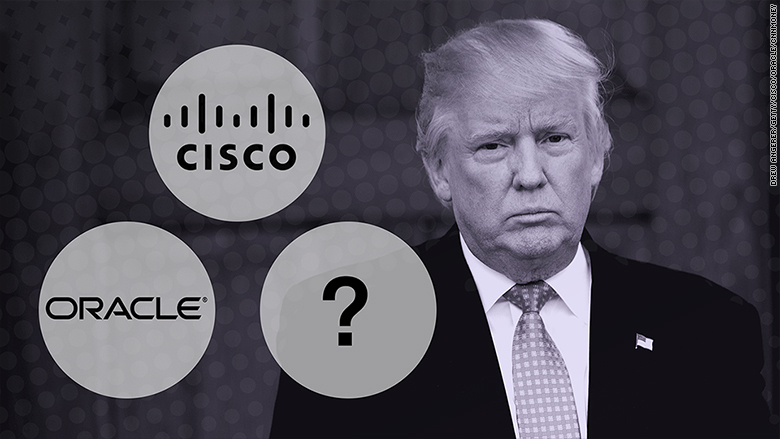 Top execs from Amazon, Salesforce (CRM), LinkedIn (LNKD), Netflix (NFLX) and numerous other tech companies openly criticized Trump during his campaign. A prominent VC compared him to Hitler and the founder of LinkedIn released a card game to make fun of him. Many raised money for his opponent. As a candidate, Trump threatened to boycott Apple, accused Amazon of antitrust violations and called out Facebook's founder for his immigration policies. Since winning the election, Trump has chosen people for his transition team and cabinet who disagree with Silicon Valley on key issues like net neutrality and immigration. Even before this week's invitation, however, the outreach between Trump and the tech industry had begun. Trump said he spoke on the phone with Microsoft (MSFT) founder Bill Gates and Apple CEO Tim Cook in the days since the election, despite the latter hosting a fundraiser for Clinton. "I said, 'Tim, you know one of the things that will be a real achievement for me is when I get Apple to build a big plant in the United States, or many big plants in the United States,'" Trump told the New York Times last month. Trump also established a policy forum this month of business leaders to meet with him frequently. The list included one member of the tech industry: IBM (IBM) CEO Ginni Rometty. But some in Silicon Valley suggested the meeting between Trump and tech execs is a bridge too far right now. "Dear Tech, Decline this invite," Leslie Miley, director of engineering at Slack and a former employee of Twitter and Google, tweeted on Tuesday. "The incoming administration has done nothing to earn your trust or cooperation." Laura Gomez, CEO and founder of startup Atipica, echoed the point in response: "Normalizing Trump to 'have a seat' on the table will be detrimental to our industry." Trump's transition team did not immediately respond to request for comment.